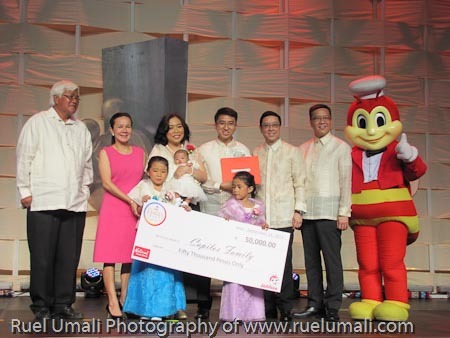 Jollibee once again hailed the noble stories of compassion and generosity of exemplary Filipino families during the 5th Jollibee Family Values Awards (JFVA) Gabi ng Parangal para sa Pamilyang Pilipino held last September 24 at the Philippine International Convention Center (PICC). 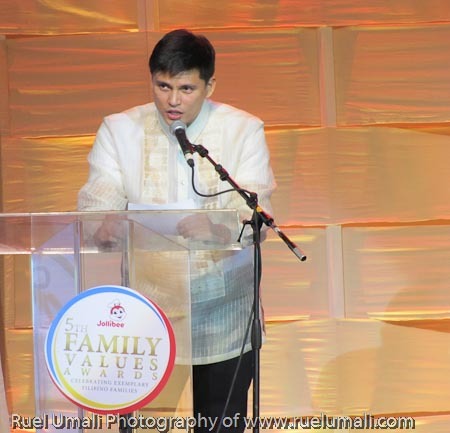 On its milestone year, the JFVA honored 11 Filipino families from Luzon, Visayas, Mindanao, and the United States for their noteworthy advocacies that made a significant impact in the lives of their fellowmen. After careful deliberation, diverse and refreshing stories of goodwill were selected to herald the JFVA on its milestone year. 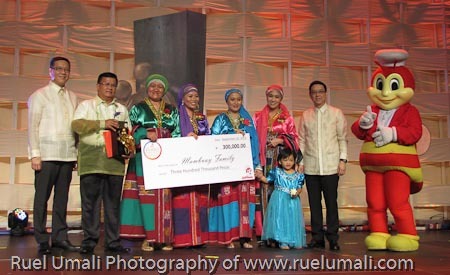 The 5th JFVA winners include the Domulot family of Zambales, whose work focuses on uplifting the lives and solidifying the Aeta tribes; Tiosan family of Rizal, dedicated to the employment and self-sufficiency of the blind; Mambuay family of Misamis Oriental, seeking peaceful ways to inculcate unity between the Christian and Muslim faiths; Rojas family of Quezon City, for giving a new voice to cancer survivors; and Pena family of Cavite, empowering people with Autism. 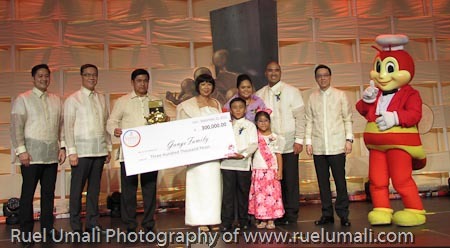 The Gange family of San Jose, California was awarded the Jollibee-Coca-Cola Global Pinoy Family of the Year for advocating music literacy among the Filipino youth. 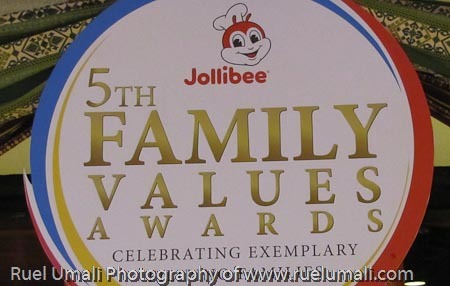 Apart from the six exemplary Filipino families, the Jollibee Family Values Awards also bestowed special citations to families whose advocacies benefit specific stakeholders. 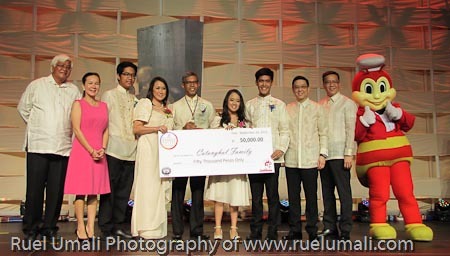 Special Citation for Education (co-presented by National Bookstore) was awarded to the Capilos family of Quezon City for holding free trainings for public school teachers and students; Special Citation for Environment (co-presented by Landbank) was awarded to the Basa family of Capiz for their work on using recycled materials for disaster preparedness; Special Citation for Children (co-presented by Children’s Hour and San Miguel-Purefoods) was awarded to the Ramirez family of Quezon City for creating free toy libraries nationwide; Special Citation for PWDs (co-presented by the National Council on Disability Affairs) was awarded to the Mendoza family of Palawan for holding free clinics and Special Olympics for PWDs; and Special Citation for Minority Groups (co-presented by Kalipunan ng mga Katutubong Mamamayan ng Pilipinas – KATRIBU) was awarded to the Catanghal family of Pasig for their advocacy of providing wholistic development for the Manyan tribes. 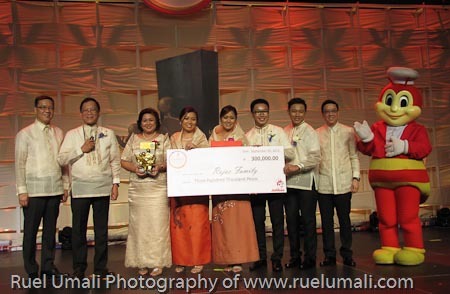 These abundant stories of goodwill and generosity resonates JFVA’s core messages that everyone has what it takes to make a difference in the lives of others, and that the right values begin and are nurtured at home. 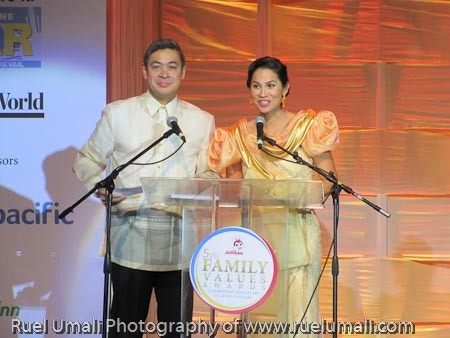 “These families that exemplify the values that we honor up to this day form a strong foundation for the country that help build a better nation. 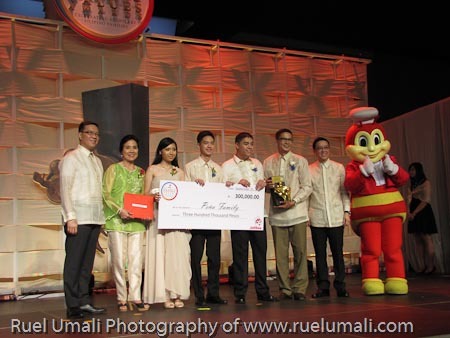 We owe it to them that the campaign has reached its milestone year, as we continue to receive inspiring stories of compassion and generosity here and around the globe that are definitely worth recognizing and can serve as a shining example for others,” said Jollibee Philippines president Joseph Tanbuntiong. 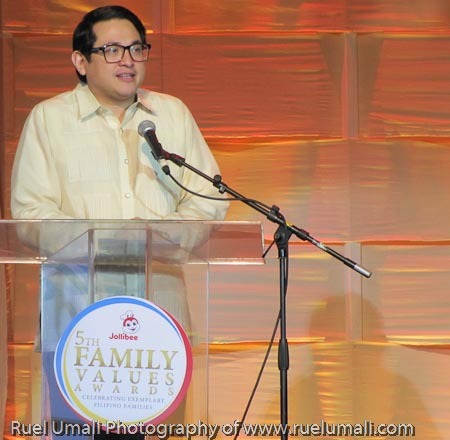 Distinguished personalities known in their respective fields made up this year’s esteemed JFVA board of judges including Sen. Bam Aquino as jury chairman, Sen. Grace Poe-Llamanzares, Camarines Sur 3rd District Representative Cong. 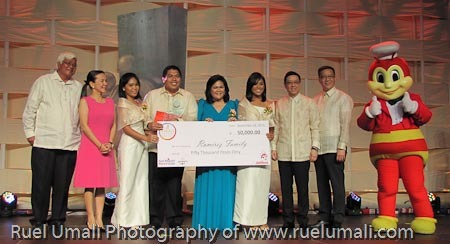 Leni Robredo, professor and economist Winnie Monsod, MOWELFUND trustee and president Boots Anson-Rodrigo, columnist and child advocate Audrey Tan-Zubiri, Jollibee ambassador and Ulirang Ina awardee Carmina Villaroel-Legaspi, ANC news anchor Edric Mendoza, parenting and relationship consultant Maribel Sison-Dionisio, Coca-Cola Export Corporation Director for Public Affairs and Communications Atty. 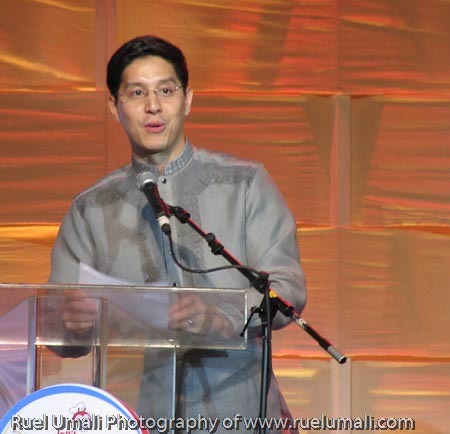 Adel Tamano, and ABS-CBN consultant for Public Service Integration and Chaplaincy Fr. 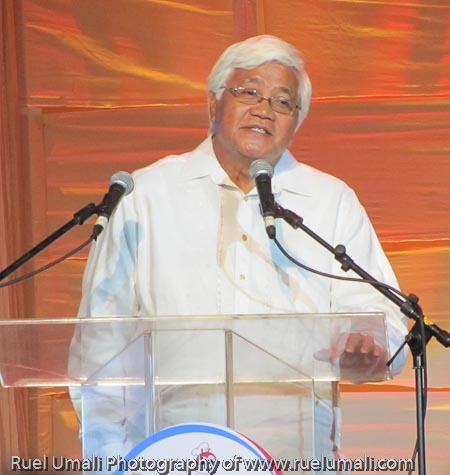 Carmelo “Tito” Caluag, S.J. 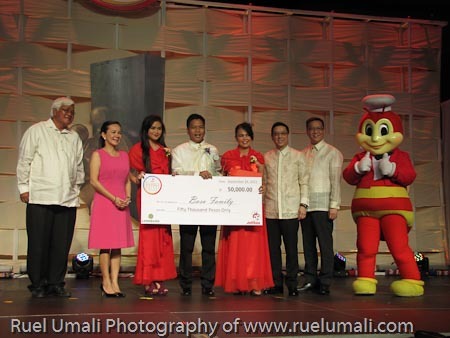 They were also joined by Jollibee Global Brand Chief Marketing Officer Francis Flores, Vice President for Marketing Harvey Ong, Vice President for Human Resources Ruth Angeles, and Jollibee Group Foundation Vice President Belen Rillo. 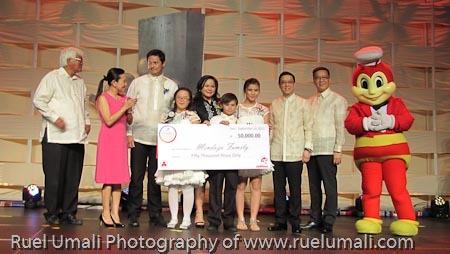 During the awards night, the top 6 exemplary families received a cash prize of P300,000, a trophy designed by renowned sculptor Michael Cacnio, and P10,000 worth of Jollibee gift certificates. 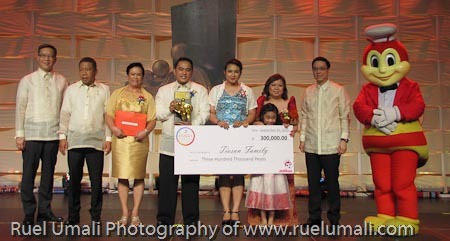 While special citation recipients each received P50,000 cash, a plaque, and P5,000 worth of Jollibee gift certificates. 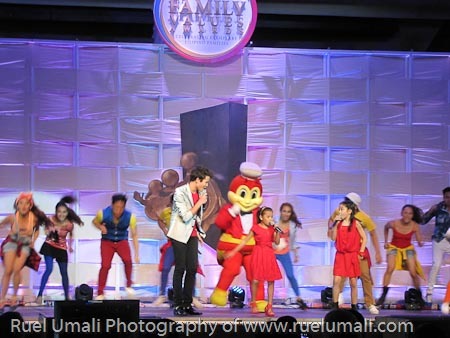 The Gabi ng Parangal para sa Pamilyang Pilipino was hosted by Maricel and Anthony Pangilinan, and featured performances from Jollibee ambassadors Sarah Geronimo, who sang the official 5th JFVA theme, the Voice Kids Lyca, Darlene and JK, and Asia’s songbird and multi-awarded artist Regine Velasquez. 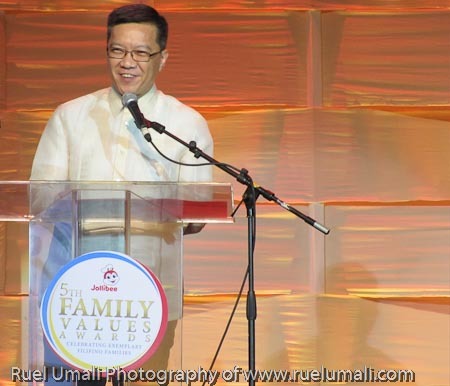 The 5th Jollibee Family Values Awards is made possible with the support of major sponsors Coca-Cola, official airline partner Cebu Pacific, official hotel partners Crowne Plaza and Holiday Inn and media partner The Philippine Star. Other sponsors are Enchanted Kingdom, BusinessWorld, SM Cyberzone, Inewvation, LG, Hunt’s Tomato Sauce, Great Taste, Magic Crackers and Cream-O. 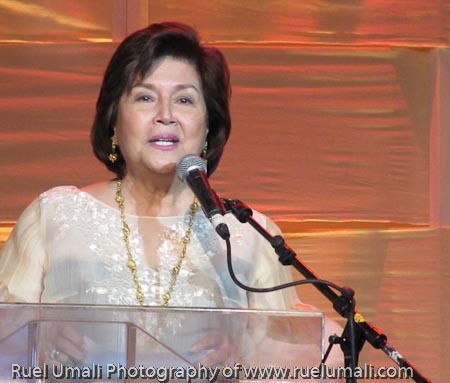 Citation partners include National Bookstore, Landbank, San Miguel-Purefoods, Children’s Hour, National Council on Disability Affairs (NCDA) and Kalipunan ng mga Katutubong Mamamayan ng Pilipinas – KATRIBU.